The air-horn signifies the start of the Half-Marathon. 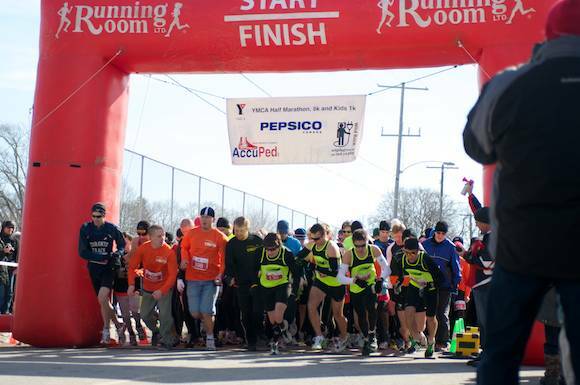 The start of the 5K. 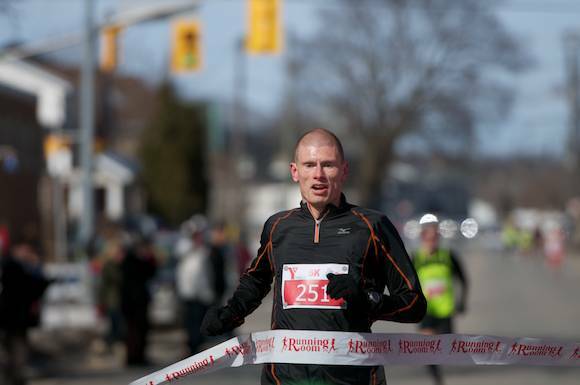 Congratulations to Peterborough's own Jeremy Walsh, the half-marathon winner with a time of 1:14:01.6. 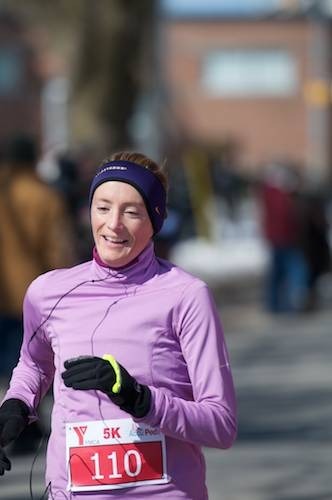 Kingston's Heather Ostic was the female winner of the half-marathon with a time of 1:29:14.6. Matt Leduc from Ajax won the 5K with a time of 15:49.4. Pete Dalliday showing the race who's boss and sporting a fantastic toque. Local outdoors store Wild Rock was a sponsor of the race. Jay Scotland crossing the finish line with a personal best. 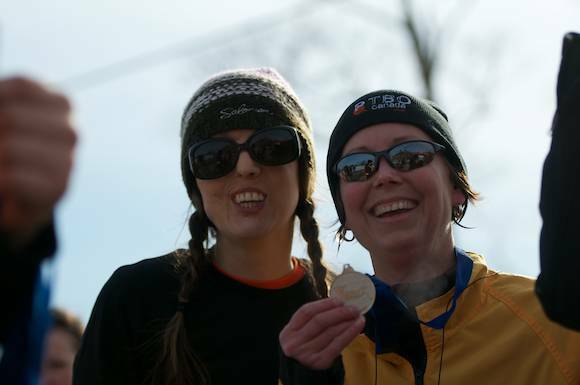 PtboCanada's own Julie Morris who ran her first 5K, pictured with Alana Callan who had just crossed the finish line of the half-marathon (wearing another fantastic toque).